NEW Clothing Website Recommendation Alert – Veni Dress! Leave a Comment on NEW Clothing Website Recommendation Alert – Veni Dress! Hello! I don’t want to encourage people to shop selfishly during the festive season, but you know what YOLO! This is what I kept saying to my mama the other day while she was in town and she was saying to me ‘oh Frankie, I never normally buy just stuff for myself’ and I’m like ‘why ever not!’!? Honestly, I used to be pretty selfish when I was younger and due to working offshore and not having a lot of outgoings I would certainly spend more on myself… then we moved to the states, bought a house, had WAYYY more outgoings especially since having our little cub and I find that twice a year, typically during summer then around my birthday in November I have a little spending spree… and honestly this spending ‘spree’ totals a couple of hundred dollars, which may seem obsessive but I rarely buy stuff outside of these times… considering I still have dresses from when I was 17… surprising some of them fit me even after my hips have widened thanks to having our beautiful cub! Anyways, there is my background justification regarding this post!!! I follow so many bloggers in Houston and I see them being ‘gifted’ clothes ALL THE TIME, and I wonder to myself what do they ACTUALLY like and REALLY recommend if they weren’t paid to post on that brand?! I LOVE Zara, but haven’t bought from there in a while, why? Because I find I have zero time to trail round the shops! Then I used to LOVE ASOS but they have so many brands now I have the fear of trying a new brand that I don’t know the sizing… so I wanted to share a website I found on Instagram (hate those bloody inviting great adverts!) which I’m happy to recommend! It’s called Venidress.com and they have a mix of everything and different styles. I fell in love with their ‘Ruched Shealth T-Shirt Dress’ which I saw and thought would be perfect for work with a cute blazer and pumps BUT as I wasn’t 100% sure on the site I thought I would buy it and see how it was before going crazy. It turned up and was EXACTLY what I was looking for, PLUS great price…! 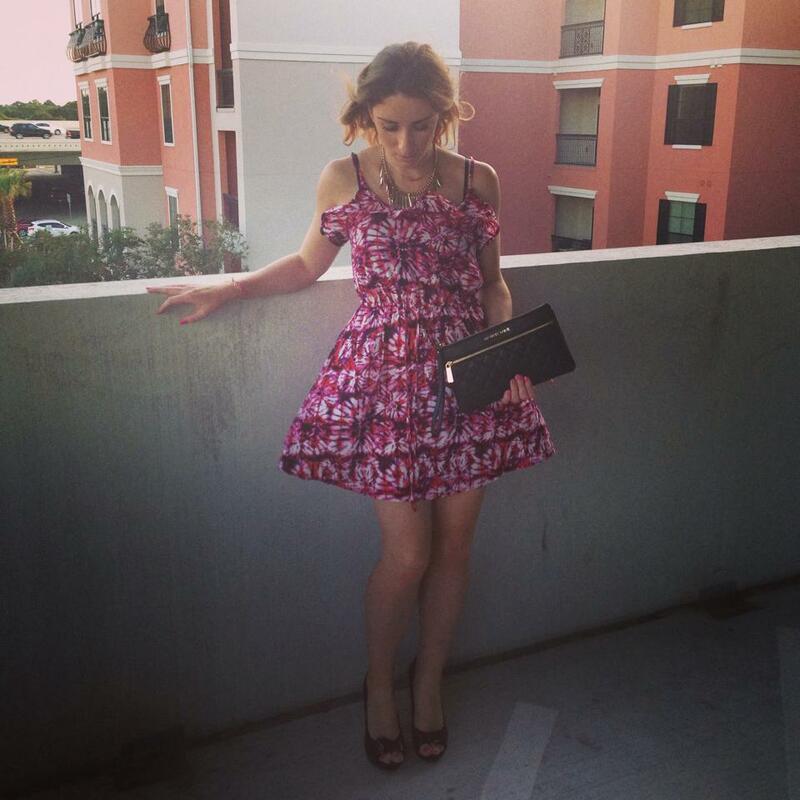 So I wanted to share what I purchased in the Black Friday sales – I’m trying to pick items of clothing which I can wear casually, dressed up and for work so I have more of an all-rounder wardrobe opposed to ‘one offs’ – I still have a wardrobe filled in our spare bedroom with just ‘occasion’ dresses. Anyways, see below what I purchased, and it was a total of $115 reduced from $160!! I thought this would be super cute over pleated skirt, jeans or with shorts in summer under a blazer! LOVE this structured dress but as it has a lace up detail at the front it can hide my mum tum! Again cute for work or dinner date! CUTE for work or play, in winter and summer! All rounder – everyone needs these dresses! Gorgeous slouch sweater especially for the colder months. Now, I’m a Medium in sizing, but now I’ve moving away from the ultra-tight clothing which I loved before! I’m now a size 4/6 so hopefully that will help when picking sizes! Let me know if you buy from this site and your thoughts!! Previous Entry Tips for an organized chic work place!